Equity is the difference between the appraised value of your home and your outstanding mortgage balance. The equity in your home rises as the size of your mortgage shrinks and/or your property value grows. In a reverse mortgage, you are borrowing money against the amount of equity in your home. As the name says, reverse mortgages work like a traditional mortgage, only in reverse. Instead of a borrower making payments to a lender, the lender makes payments to the borrower. Most reverse mortgages do not require payment of principal, interest, and fees as long as you live in your home. The homeowner can use the money for anything. The lender will require the homeowner to pay off the balance of any existing mortgages. You pay monthly payments to reduce your debt until the loan is paid off with a conventional mortgage. In reverse mortgages, your total debt increases as the lender gives you more money. Reverse mortgages are rising-debt loans. This means that the interest is added to the principal loan balance each month. Since the interest is not paid on a current basis, the total amount of interest you owe increases significantly with time as the interest compounds. You remain responsible for payment of the taxes, repairs, and maintenance. You can never owe more than the value of the home with a reverse mortgage. Reverse mortgages are “non-recourse” loans. This means that if you default on the loan the lender cannot seize any assets to cure the balance. Reverse Mortgages Right for For Certain People? 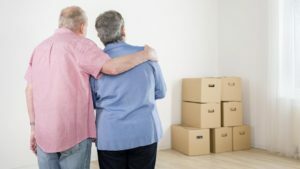 When considering whether to apply for a reverse mortgage, you need to determine two important things: first, are you healthy enough to remain in your home and second, do you wish to remain in your home? Are alternatives, such as selling your home and purchasing a smaller, less expensive home, better for you? Will your children, or other heirs, want to inherit the home? Will you get enough money from the reverse mortgage to enable you to live in your home? For some reverse mortgage loans you must be at least 60 years old and for others, you must be at least 70 years of age and have a low income. Note: For FHA reverse mortgages (HECM), you must be at least 62 years old. Your home must be your primary residence; you must live in it for more than half of the year. For most reverse mortgages, your home must be a single-family home, a 1-to-4 unit building, or a federally-approved condominium or planned unit development. If you already have a debt or existing mortgage against your home, you must pay it off or use a cash advance from the reverse mortgage to pay it off. You will not qualify for a large enough cash advance to pay it off if you don’t pay off the debt beforehand. You will also not qualify for a reverse mortgage. Money from the reverse mortgage must also be set aside if your home needs physical repairs to qualify for a reverse mortgage. How Much Can a Reverse Mortgage Be For? The amount of the mortgage will depend on the age of the borrower, the value of the home and the current interest rates. In general, the loan amount will be bigger if the homeowner is older, the value of the house is higher and the interest rates lower. Usually, the loan should not be more than 80% of what the anticipated value of the property at loan maturity (or loan-to-value ratio) will be. Use the calculator at www.aarp.org/revmort/ to estimate how much cash you might receive from a reverse mortgage. How do Reverse Mortgages Get Paid? Immediate cash advance – A lump sum of cash paid to you on the first day of the loan. Credit line account – An account that lets you take out cash whenever you want during the life of the loan until you use it up. The amount you get will depend on whether the credit line is “flat” or “growing”. With a flat credit line, your remaining credit decreases with each cash advance you take. With a growing credit line, your remaining credit grows larger by a yearly rate. Monthly cash advance – The total amount of cash you get will depend on whether you get payments for a set number of years, or get payments for as long as you live in your home. A combination of lump sum payment and monthly payments. For the rest of your life – If you use the reverse mortgage to buy an annuity, the amount of cash you get will depend on how long you live no matter where you end up living. What Does It Cost to Apply for a Reverse Mortgage? Before closing on a loan, the only charge a lender may collect from a borrower is an application fee. That application fee must be designated as such and may not be a percentage of the principal amount of the reverse mortgage or of the amount financed. Any other fees associated with the reverse mortgage may be financed as part of the loan. At the end of the loan, there may be additional fees, costs or payments. The lender may charge a termination or maturity fee. This fee would be the actual cost of arranging for the sale or foreclosure of the real property securing the loan. It may include broker’s fees, advertising costs, moving and/or storage costs and legal and other fees incurred by the lender. It may not be a flat percentage fee. In exchange for a lower interest rate the lender and the borrower may agree to “shared appreciation” or “equity participation.” Participation mortgages are so named because the lender “participates,” or has the right to a share in any increase in the value of your home as well as the interest on the loan. A Shared Appreciation Mortgage (SAM) takes into account the appreciation in value of the house between the time the loan is signed and the end of the loan term. The lender receives an agreed-to percentage of the appreciated value of the loan when the loan is terminated. When Does A Reverse Mortgage Need To Be Repaid? The loan may be for a certain number of years which is known as a “term” loan, or for an undetermined length of time which is known as a “tenure” loan. A tenure loan matures upon an event such as when the last surviving borrower dies, sells the home or fails to live in the home for 12 months in a row. If you fail to pay your property taxes or insurance or let your home fall into disrepair. Lenders can opt to pay for these expenses by reducing your loan advances (if you haven’t used up all your funds). You may have to pay the loan back if the lender determines that a change has been made that could affect the security of the loan like renting out part or all of your home, adding a new owner to the title, changing your zoning classification or taking out new debt against your home. How are Reverse Mortgages Repaid? The total amount you will owe at the end of the loan (“Loan balance”) will include the total amount borrowed (including any amounts used to pay fees or costs) and all of the interest that money has accrued. If you sell the house, you can pay back the loan from the money you get from the sale. If the balance of the loan is less than the value of the home at the end of the loan period or the money you get from the selling the home at any time, then the lender gets paid the amount owed, and you or your heirs keep the rest. Any heirs to the home can pay back the loan. The homeowner or the heirs can take out a new forward mortgage on the home. The lender must give you a statement prepared by the local or county office for the aging on available independent counseling and information services. A toll-free telephone number and the name of a person who can answer any questions, comments or complaints that you may have. If there is no toll-free telephone number, they must accept collect calls. The lender can only charge interest on advances of funds actually made from the reserve account. They can not charge interest on the entire balance in the reserve account. If the lender fails to make any payment required under the loan agreement within fifteen days of the due date, the lender must forfeit twice the interest that would have been earned on the outstanding loan principal for the entire period during which payments were suspended, ceased or made late. IF YOU DO NOT ADHERE TO CERTAIN REQUIREMENTS, THE LENDER MAY HAVE THE RIGHT TO FORECLOSE ON YOUR PROPERTY AND TAKE IT FROM YOU. It is extremely important to have a complete understanding of all aspects of a reverse mortgage loan. Take good care of the house. It should be in the same condition as it was in at the time of closing. If there is no escrow account established by the lender, you must pay the real estate taxes and insurance premiums on the property directly. You and the lender may agree to set up a reserve account that may be used by either party to keep the house in good condition or to pay taxes, insurance premiums or personal expenses. You may choose a property insurer but the lender must approve that choice. If you don’t choose an insurer on time or the insurer is not acceptable to the lender, they may choose the insurer. The interest is compounded on reverse mortgage loans. This means that you are paying interest on both the principal and the interest which has already accrued each month. Compounded interest causes the outstanding amount to grow at an increasingly fast rate. This means the equity in your home will be used to pay the interest on the amount that the lender pays to you. Don’t borrow more than you need. Figure out exactly how much you need to supplement your income in advance so that you don’t end up paying interest on money that you didn’t need. Reverse mortgages can be of benefit to those senior citizens who are reasonably healthy, want to remain in their homes and find that they are “house rich” but “cash poor”. There is no financial penalty if you choose to pre-pay the loan. You will not have to make any payments on the loan for as long as you live in your home. You will have a guaranteed monthly income or a guaranteed credit line. Borrowers can pay off a previous home debt with an advance from their reverse mortgage. You may not have to pay off other debt against your home if a prior lender agrees to be repaid after the reverse mortgage is repaid. Generally, only state or local government lending agencies are willing to consider “subordinating” their loans in this way. The debt is limited to the value of your home.